Our guide to Hawai‘i’s most scenic, soul-stirring natural wonders. 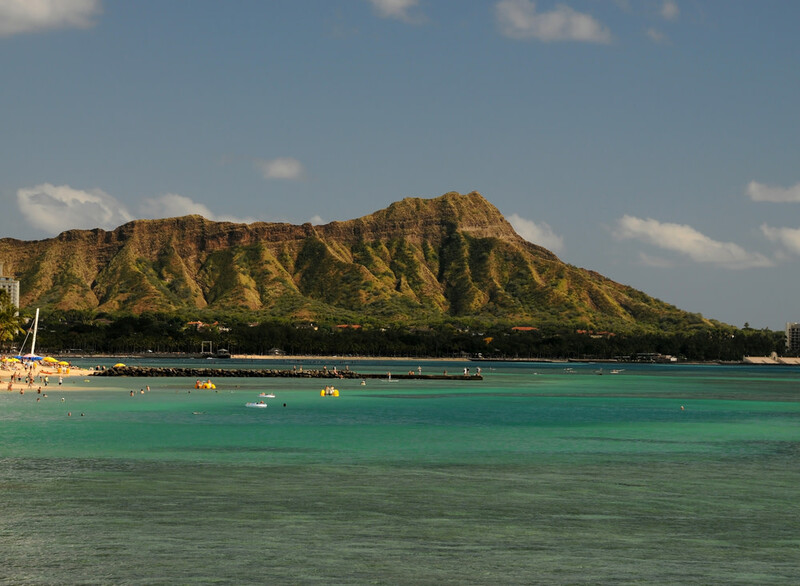 Start with a trek up Diamond Head, one of the most iconic symbols of Hawai‘i and a way to get a bird’s eye, panoramic view of Honolulu and its coast. Native Hawaiians named the highest peak of Diamond Head “Lēʻahi,” which means “brow of the tuna.” Who knew tuna even had brows? Go early in the day—the Diamond Head State Monument opens at 6 a.m. daily—when it’s a bit cooler, and take the steep, less than a mile hike up to the summit. You’ll marvel at the crater, which was formed during a volcanic explosion 300,000 years ago. Another great way to start the day is to visit Waimea Bay, a wide, beautiful beach on the North Shore that opens up onto an amazing spanse of ocean. Opposite it, Waimea Valley beckons with 1,875 acres of botanical gardens, Native Hawaiian archaeological sites, and an easily accessed, 45-foot waterfall, Waihī. This “Valley of the Priests” was occupied by Hawaiians starting in 1090, up to about 1886, and is today home to many endangered plants and animals, such as the ‘alae ‘ula bird. The spectacular Ko‘olau Mountains have trails just right for beginners, intermediate-level and advanced hikers. You’ll encounter waterfalls, native plants and dramatic views—as well as refreshing breezes and a pleasing solitude.